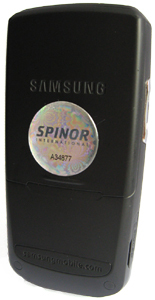 Please stick the Spinor device to a rear panel of a mobile phone or a cordless phone in any place convenient to you. Location of the device does not affect its efficiency. 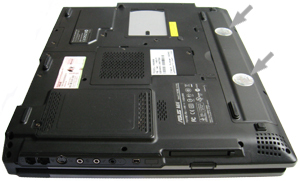 In order to neutralize negative impacts from a laptop, please affix two Spinor devices to the bottom panel of a laptop (e.g., to the battery or near it) in any place convenient to you. In order to achieve reliable cohesion, please clean and degrease a sticking point carefully. Flat and smooth surface is preferable. The device does not interfere into operation of phones and other electronic devices. The warranty period for the Spinor device is 2 years.